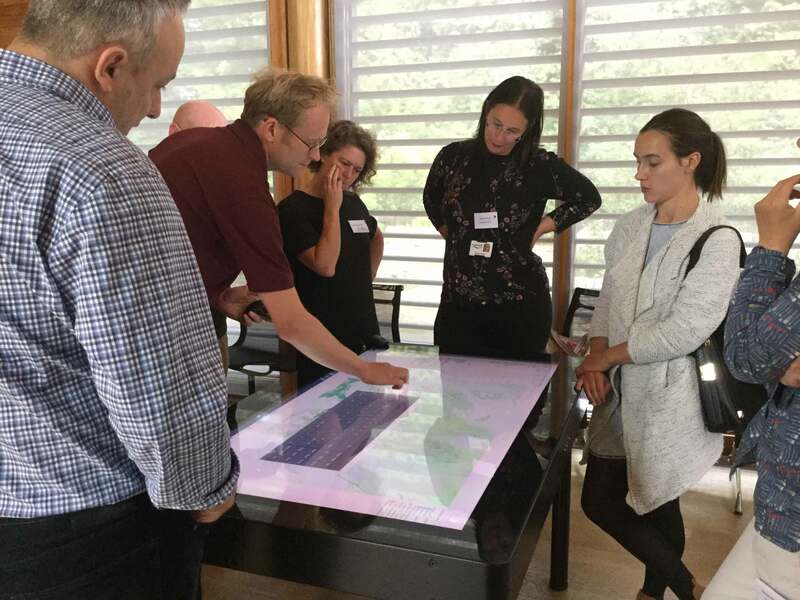 On 5 September 2018, JBA Trust held a ‘Demonstration Day’ to raise awareness of how physical models and visualisation tools can support outreach and educational activities to communicate flood risk concepts. We welcomed representatives from a wide range of organisations, including the Aire Rivers Trust, Calderdale Council, Cheshire Wildlife Trust, Environment Agency, Hydrotec, iCASP, Lancaster University, the National Trust, Natural Resources Wales, Moors for the Future, Yorkshire Water and Yorkshire Wildlife Trust. to deliver demonstrations to all delegates. 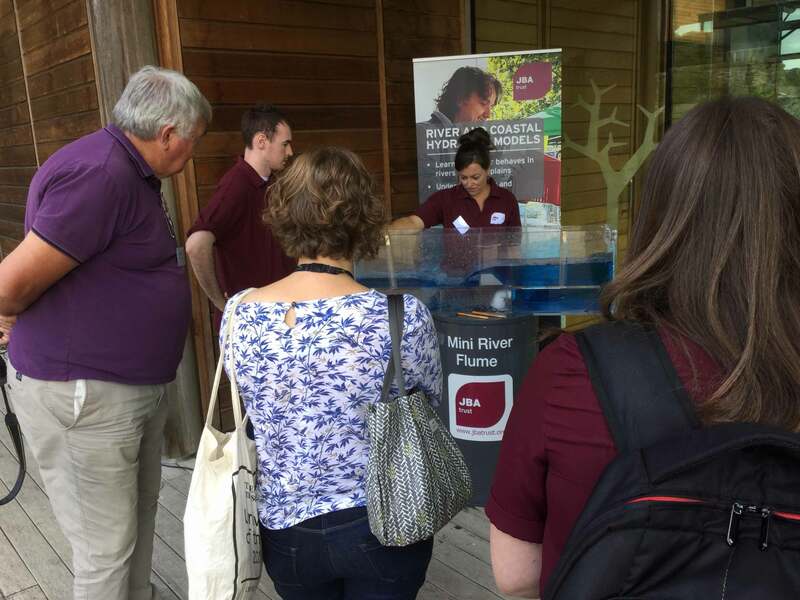 We explored how these “engaging, inspiring and educational” physical models can help to communicate scientific and engineering concepts and how they can help to start conversations about sustainable river and catchment management. Following the demonstrations of all of the models, the group shared their thoughts and ideas on how they could be used in the community, with schools, practitioners and policymakers, and we are looking forward to developing these ideas further over the coming months. Working with leading academic researchers, NGOs, charities and the JBA Group of companies, JBA Trust was created in 2011 as an independent charity. It supports research and promotes the development of knowledge and skills in environmental risk management, especially in the water environment. Find out more about their physical models on the JBA Trust website. You can also email the JBA Trust to book any of the physical models for your event – they especially like to attend STEM events for schools, colleges and universities.